Aug. 21, 2018, 1:50 a.m.
Scar as a Saber-toothed Tiger! Aug. 16, 2018, 8:20 a.m.
Decades of Denial, page 27. Aug. 16, 2018, 8:18 a.m.
Decades of Denial, page 26. Aug. 14, 2018, 5:54 p.m. I was inspired by a pic by Anjali2010. Aug. 7, 2018, 9:34 p.m.
My wacom has died!!! T-T.
Aug. 6, 2018, 11:45 a.m.
Scar meditating. It's actually not so uncommon that managers or people in high leader positions meditate. I assume it helps them to focus. 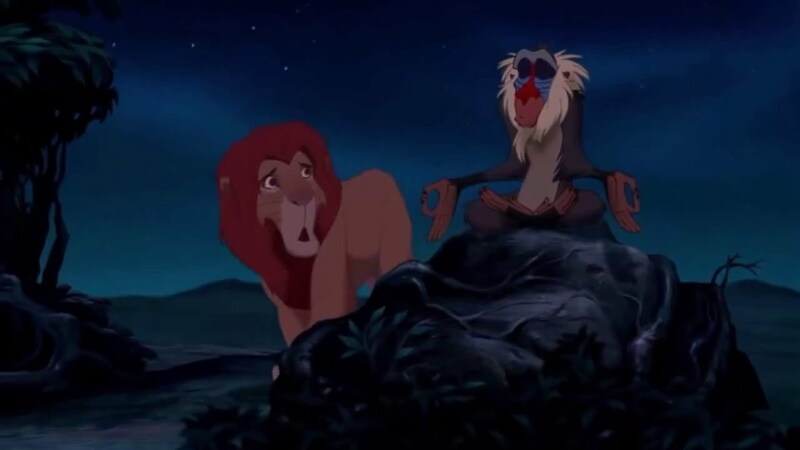 Of course I used that picture of Rafiki as help. I tried a different drawing style for the outlines to make them look more like in the movie. Aug. 5, 2018, 1:40 p.m.
Decades of Denial, page 25. Ugh, this page took so long to finish... I couldn't decide how I could reveal the reason for the hyenas' banishment without giving any real spoilers about the "First King" comic. But now I know how I'll do it. Nov. 22, 2016, 11:37 a.m. So my internet was down for just over a week-so it's great to browse around here again. But before I watched The Lion Guard for the first time! It was 'Never judge a hyena by it's spots'-and I have to say I really enjoyed it! I'll probably make a piece of artwork featuring my two favourite characters of the series so far. I hope you are all well, school is getting stressful, yet there we are. July 21, 2018, 6:49 p.m.
July 21, 2018, 12:50 p.m.
Decades of Denial, page 24. I just keep throwing characters into this scene. :P First the hyena cubs, then Sarabi, then the adult hyenas, now Sarabi's mom... Who's next?